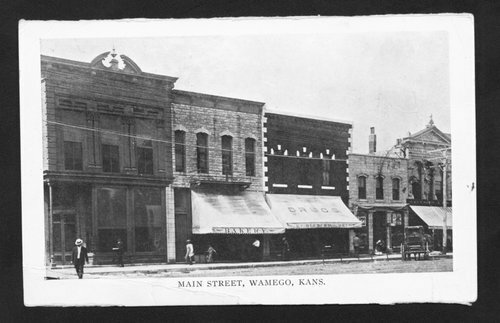 This post card photograph shows a drug store on Main Street in Wamego, Kansas. Other buildings visible include a bakery. A few people and a horse-drawn carriage are visible in the picture. Holding Institution: J. C. Ruppenthal Estate, 1968.